Motion Twin, the French studio behind the successful action-platformer, Dead Cells, has released an interesting documentary that covers the creation of their game and the way the fascinating way the company works. They made an announcement on Twitter, with a link to the 12-minute video that is well worth a watch. During the video, it’s discussed that the small company has a unique set-up, in which there are no bosses, everyone receiving the same pay, and everyone holds an equal share in the company. This is very different from the idea many of us have of what a company should be, and the fact that it works so well at Motion Twin could be an indication of what other studios could do. Interestingly, Dead Cells had a very short development cycle, being created within one year. The team had prototypes for the foundation of Dead Cells, but the vast majority of its development occurred within a year, because that’s all the budget would allow for. Motion Twin attributed a lot of its success with Dead Cells to releasing the game in early access, allowing for thousands of players to give meaningful feedback to make the game better. 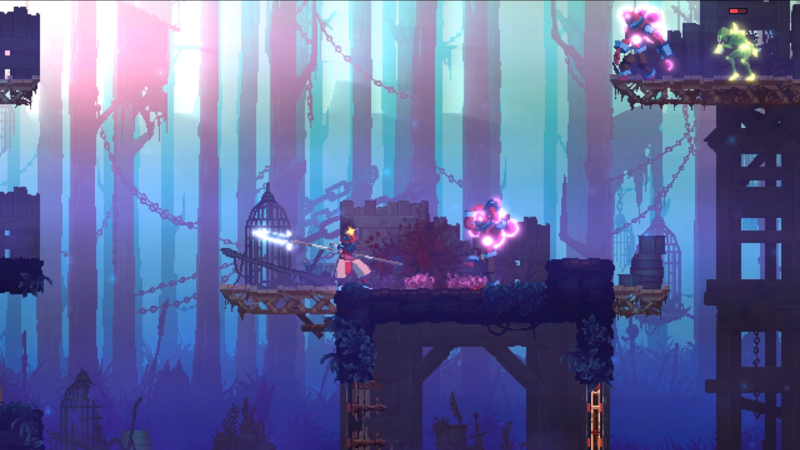 It has garnered enough success to be able to continue working on Dead Cells. The game even has a massive add-on in the works that apparently took nine months to make. The success has even allowed the studio to start work on a new game, which was hinted at during this video. If you’re interested in the development of Dead Cells and want to see more about the studio behind it, please give this video a watch, because it’s quite interesting. Are you a fan of Dead Cells? What would you like to see from Motion Twin next? Let us know!